It all depends on what you need out of your gaming pc. If you want the best of the best, you’ll have to do some research. Starting here. A lot of people will gravitate towards Alienware, XPS, or whatever other prefab machines you can think of, simply because of their names. But, I can guarantee you that they’re the wrong route to go. You’re paying solely for a name, and you’re sacrificing power for it. It’s basically the opposite of buying a high-end sports car. You pay for the name, and get less power… It’s a win for them, and a loss for you. Simply put, the absolute best gaming PC you can get, is one you build yourself. Not only does this give you a more customized PC, but it also allows you to build one that is significantly more powerful and exponentially cheaper than one you would get from any local store, or whatever Dell subsidiary you first thought of. 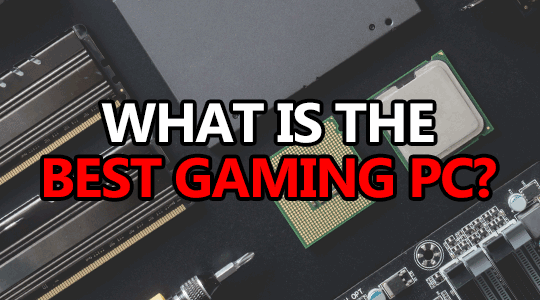 Actually building your own gaming PC is honestly pretty simple, and really only involves plugging about 10 things in, and performing the initial setup of your OS and such. If you’re really good, you can even have it together and booting your setup within 15 minutes of unboxing your hardware. Building your own computer for gaming doesn’t have to cost a fortune either. With the massive amount of components out there, all geared towards different price-ranges, you’re able to build a solid gaming PC for as little as $500, or on the other end, you can easily spend upwards of $5000. If you were to compare something you could build for $1000, to say, an Alienware custom build with the same specs, you would be looking at a difference of probably $800-$1000 at least. Whatever your budget is, it’s always best to build your own computer. If you’re unsure of what components to pick, why not take a look at one of our custom gaming PC builds? 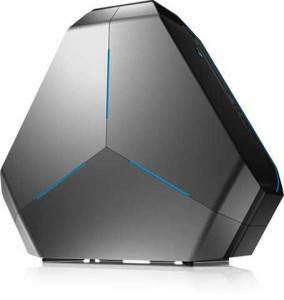 So, we’ve all probably come to the decision that buying a $10000 Alienware Area-51 prefab PC isn’t really the best option if you want the best gaming PC. You could easily build pretty much the exact same thing, for less than HALF of what Dell will charge you for that fancy Area-51, or anything else that is prefabbed. If you’ve got the $10k to throw away on a gaming PC, and you’re really opposed to building your own, by all means, grab that beast Area-51. Building your own gaming PC is always the best option if you want the best. Not only because it’s usually a lot cheaper, but because you have the ability to customize it while you’re building it. The wire sheathing, different LEDs, the way the wires are mounted, and anything else you can think of, are all ways to make your gaming PC yours.